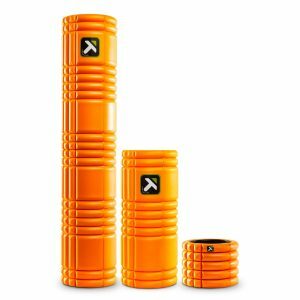 Quick answer: If you are simply looking for a foam roller to use occasionally for stretching out muscle pains, then we highly recommend the sturdy Amazon Basics foam roller. 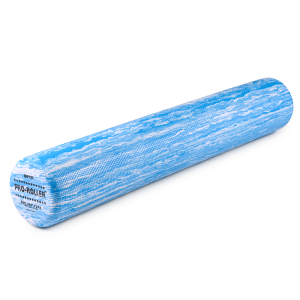 If you have mobility issues or physiotherapy needs we recommend a soft foam roller such as the high quality OPTP PRO-ROLLER Soft Density 36” x 6” foam roller. On the other hand, if you exercise often or want a deep tissue massage for serious muscle or back tension, we suggest getting a firmer foam roller such as the j/fit high density EVA foam roller or a contoured foam roller like the TriggerPoint GRID. 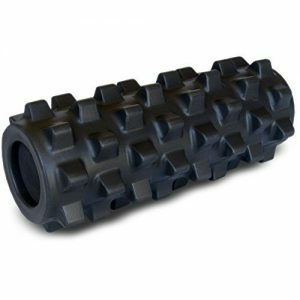 We also recommend two other popular contoured foam roller designs called the Rumble Roller and the Muscle Mauler depending on your preferences and needs. In terms of size, most people will want a medium length foam roller around 24 inches which is great for most stretches and will fit your back. If you’re over 6 feet or 250 pounds go with a longer length. And lastly, if you’re a serious athlete with a big budget, take a look at the incredible electric foam roller called the HyperIce Vyper. From physical therapists to chiropractors, foam rollers are widely used and recommended with varying levels of effectiveness. Foam rollers offer a way to improve blood flow to your muscles and joints through self-myofascial release therapy. This is essentially a form of stretching that is done by rolling a foam cylinder over your muscles and joints to improve soft tissue extensibility and range of motion (ROM). By kneading your muscles, you increase blood flow and reduce the chance of injury while speeding up recovery times. The action of rolling the foam roller over your muscles imitates the effects of deep tissue massage by releasing the tension in various trigger points (muscle knots). This technique of foam rolling involves applying continuous pressure and traction to the fascia to stimulate it. When used properly, foam rollers are great for improving mobility and reducing pain. Foam rolling can be part of a healthy routine to relieve tension and pain. We recommend integrating it into your warm up and cool down to get blood flowing and improve circulation. Myofascial adhesion are caused by stress, training, injuries and both overuse and underuse of muscles. Without treatment, these adhesions may lead to injuries or discomfort. Foam rollers are great for physiotherapy, exercise and stretching and have evolved over the years to offer a wide range of sizes, densities and unique features. For the most part, there are two types of foam rollers, EVA foam rollers and EVE high density foam rollers. EVA foam rollers are softer while EVE high density foam rollers are firmer and tougher. EVA (ethylene vinyl acetate) are the most popular, better quality and are softer than regular foam so better for beginners or those with specific requirements. EVE rollers usually appear to have small pellets pressed together. We judged foam rollers based on their density and firmness, quality, cost and how they fulfilled their design objective. Density — The more dense the foam roller, the more pressure can be applied during usage. If you’re a beginner, you should start with a less dense foam roller so your body can adapt easier. You’ll quickly know how much pressure you can handle when foam rolling because it can feel painful at times and at certain pressure points. Once you can handle a softer foam roller, you can move onto a more dense foam roller in the future. Remember, you want to stretch your muscle fibers and tendons, not torture yourself. 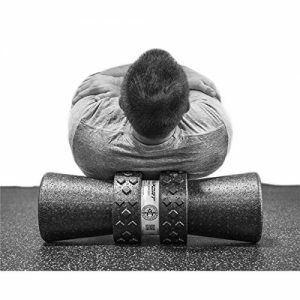 Durability — Foam rollers are built and designed to last. You want to find a balance between quality, durability and price. If you are going to use your foam roller daily, it is better to purchase a higher quality roller that will maintain its shape over time. Poor quality foam rollers will elongate or lose its circular shape and become more oval after repeated usage. Instead, you’ll want to look for a well-made EVA foam roller which are much more durable than EPE foam rollers. Texture — Foam rollers vary in texture from soft cushioned foam to rigid and contoured. It depends what your objective is and how deep you want to massage your muscles. 36 inches — Best size for pilates and for using the roller along the spine to create alignment along the body. 24 inches — Best length for rolling the back and easier manipulation compared to larger rollers. 18 inches — Optimal for alleviating tightness in the calf muscles, hamstrings, IT band and smaller areas. 12 inches — Great to take when traveling and isolating specific muscle groups and joints. These are the most budget friendly foam rollers on the market. They won’t be as durable compared to fancier ones, but if you are simply looking for a foam roller to use occasionally for stretching out muscle pains, then we highly recommend the Amazon Basics foam roller ($19.89) . It is a high-density foam roller molded with EVA foam and is great for moderate usage and for a wide range of body types. It’s not suitable for a professional setting where it will see heavy usage by many people, but it is still good enough for the majority of people. Unless you have specific physiotherapy needs, you’ll probably be happy with this and it won’t cost you too much. If you want a firmer massage, we recommend the LuxFit Premium Extra Firm foam roller. This will provide a deeper tissue massage and deal with problem muscle knots at a great price. Both foam rollers are durable and still soft enough even for those new to foam rolling. You’ll want to go with the medium size which is great for most stretches and fits most body sizes. If you’re over 6 feet or 250 pounds go with the large size. Softer foam rollers are technically referred to as low-density foam rollers. For beginners we recommend a softer, low-density roller because they are more forgiving and less painful during usage. After consulting physiotherapists and testing them out ourselves, we found the best soft foam roller to be the OPTP PRO-ROLLER Soft Density 36” x 6” foam roller. It comes highly recommended for its moderate-to-medium massage. 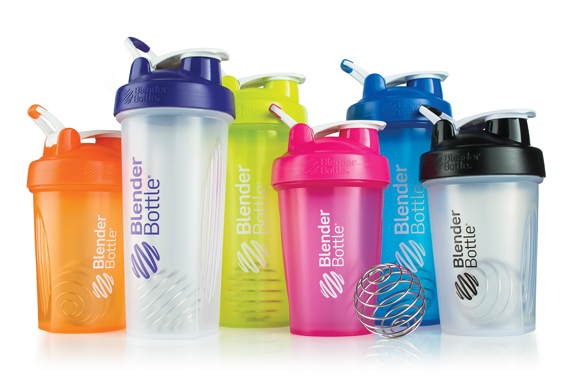 It also has an interesting textured coating that resists shredding and adds durability. It has become the go-to foam roller for many professionals we know and we highly recommend the OPTP foam roller if you’re looking for a softer, low-density roller. It is particularly useful for physiotherapy and those with inflammatory conditions because it has a layer of cushioning that does not compress significantly (which is a good thing). While it is more expensive than other basic rollers, you’ll be happy you bought this one. Its closed-cell design makes it easier to clean and more durable, and it’s also excellent at retaining its shape and flexibility over extended usage. You don’t want to have to purchase another cheap foam roller because your old one became oval. Other foam rollers might also offer firmer cores or sports ridges or unique designs, by sometimes the claims of these advanced designs are hard to validate. Using a proven, high quality and durable foam roller is the way to go and incorporate into your regular routine. Another fantastic soft foam roller is the TriggerPoint CORE. This foam roller has a solid foam core with a durable external EVA foam that is half as soft as their popular GRID foam rollers. Because the core is foam and not a hollow PVC pipe like most foam rollers, there is much more cushioning and give when massaging your muscles. The outside foam grid still allows for effective deep tissue massage while being more comfortable than firmer and stiffer foam rollers. While it is still firm, the give is perfect for beginners who are still adjusting to the pain involved when dealing with tight muscle knots. This is also good for physiotherapy where you want a deep massage without stressing yourself out and allowing yourself to relax. Its also a foam roller that is user-friendly and easier for anyone in your family to use without concern. Firm foam rollers are also known as high-density foam rollers. 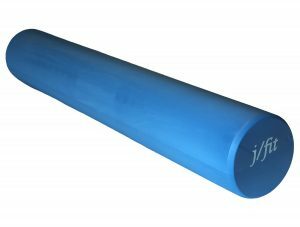 We recommend the commercial-grade j/fit high density EVA foam roller which comes in 12, 18, 24 and 36 inches. This firm foam roller is great for individuals who want more pressure when rolling but still don’t want the roller to be too stiff and painful. The high density is excellent for rehabilitative exercises and physiotherapy and allows it to accommodate heavier body weights that other foam rollers might warp from. It also has a vinyl cover that is heat sealed which protects it from damage and dirt and makes it very easy to wipe clean. This is extremely useful for professional settings where a foam roller is likely to see repeated usage by multiple people. This also makes the foam roller last much longer and less likely to have to be replaced. If you are looking for something even firmer, than checkout Rolling With It high-density foam roller or the TriggerPoint GRID X Extra Firm roller. The GRIX X is extra firm but also has a unique exterior foam with varying densities in different areas that help to stimulate blood flow. Grid foam rollers are contoured or have a specific shape to dig into your muscles as you roll. There is a huge variety of shapes and designs and densities that it is best to start with a foam roller that is still gentle enough when rolling. 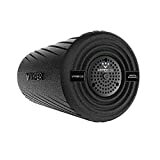 One of the most popular contoured foam rollers is the 13 inch TriggerPoint GRID (also comes in 26 inches). It is well constructed and popular among physiotherapists and athletes. It is best described as a hollow core wrapped in multi-density foam exterior grid that “replicates the feeling of a massage therapist’s hands to help channel blood, improve oxygen flow, and heal tissue”. 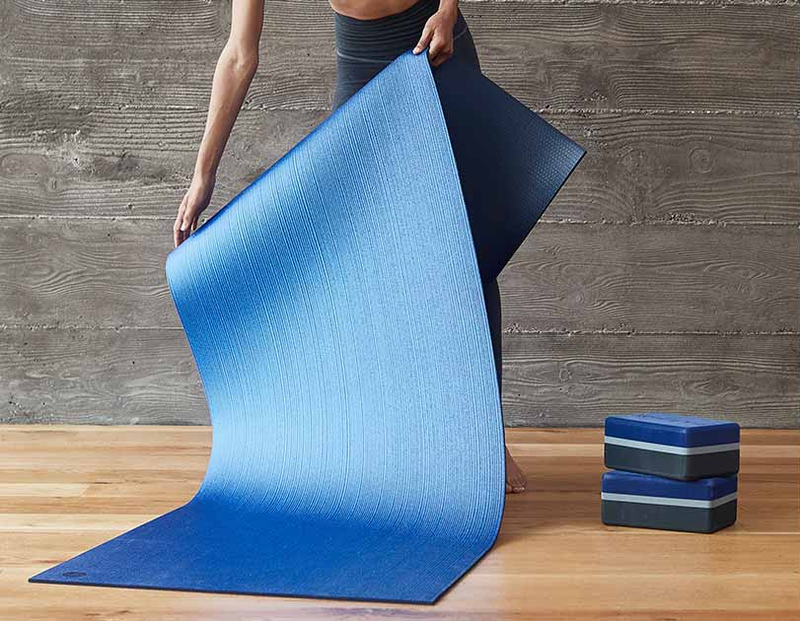 The EVA foam grid design provides for better rolling than generic brands and is optimal for myofascial release without having too much intense pressure or edges. If you’d like the same design but half as hard, take a look at the TriggerPoint CORE. 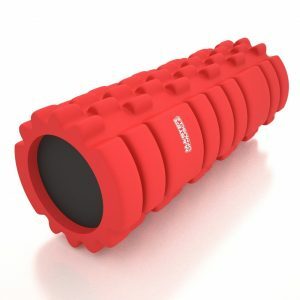 Its a great softer foam roller for those new to foam rolling or doing physiotherapy. Both foam rollers have the same patented grid design, but the CORE has a solid foam core (not hollow) instead of the rigid hollow PVC pipe in the GRID foam roller. Two of the most popular contoured foam roller designs are the Rumble Roller and the Muscle Mauler, pictured above respectively. Each one has a unique foam exterior that is designed to mimic the thumb pressure of a deep tissue massage. The foam nibs help dig into muscle knots and trigger points to relieve tension. The nibs extend out enough to knead deep parts of your muscles and let you move in different directions to gently massage muscle tissue. Picking which grid design you like is up to you and depends on your preference. The Muscle Mauler has a bit more variety in the external foam, allowing you to massage different muscles (for example, your calves versus your back muscles) using the different heights of the nibs and contours. 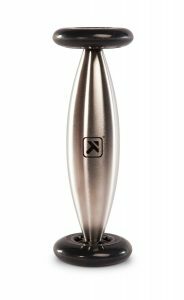 The Rumble Roller nibs dig a little deeper and is easier to reach that deep tissue massage that is desired for stubborn muscle knots. They are both particularly good for a variety of muscles and stretches and offer a different type of relief than other foam rollers. Electric foam rollers are rarer to find because they generally use their own patented technology. The first and popular of these is the HyperIce Vyper. It you’re a serious athlete or need intense deep tissue massages for rehab, then this might be for you (be warned of the high price). This foam roller has also seen some big names vouch for it — from Blake Griffin to Kevin Durant and Lebron James — and featured in a number of popular fitness and health magazines. The Vyper is a very rigid and firm foam roller with an electric, vibrating core. Even without turning it on and vibrating, the foam roller can be used for a regular deep tissue massage due to its firmness. 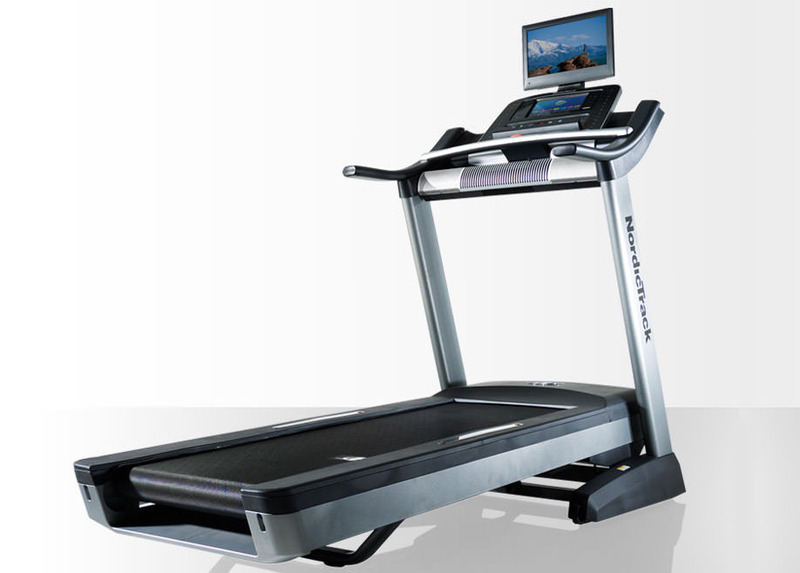 One you turn it on, the LEDs light up and you can rotate through three levels of vibration speeds — low, medium and high. Even the lowest speed will provide a significant thumping so be careful when using it. The highest speed will feel like a strong buzz-like vibration. The speeds range from 28 to 36 HZ and the battery itself will last about 2.5 hours on the highest intensity. This foam roller vibrates at very high frequencies that seem extremely fast but also feel rather pleasant when used correctly. We were rather impressed with the quality of the vibration therapy and how well it worked on knotted muscles. 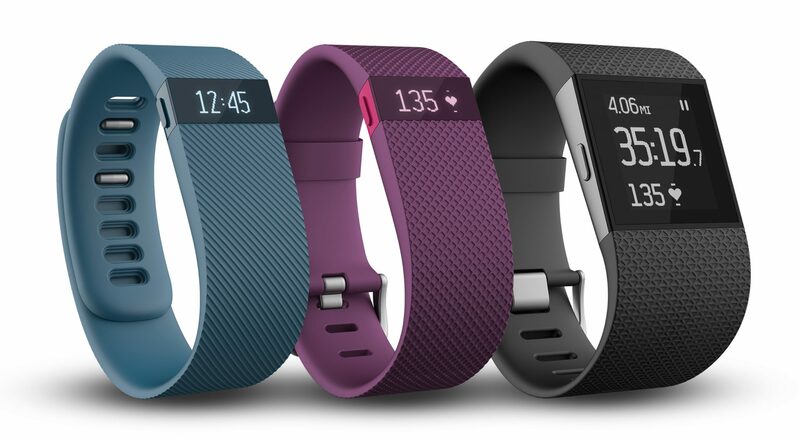 At 11.5 inches it’s also pretty easy to take with you when traveling, to the gym or to your physiotherapist. Just be warned the motor inside makes a decent amount of noise and will shake your floor quite a bit. Hopefully you don’t live in an apartment! There are a few foam rollers with special designs to target specific types of pain or muscles. The Stealth Align foam roller is particularly good for dealing with back pain, spinal alignment and improving posture. It is very light with high-density foam and provides targeted and deep pressure relief with a large 8 inch diameter allowing for a large range of motion. The center of the foam roller is designed to align the spine and to massage the back muscles on each side, focusing all your body weight and pressure on these muscles. This means it can be quite painful if you’re not used to this kind of pressure but it can provide immense relief for back pain when used properly. The cylinder is also angled inwards to provide better support and balance and to accommodate additional exercises. This foam roller is also useful for massaging between the shoulder blades, the base of the neck, glutes and calf muscles and not really for muscles like the quads. The TriggerPoint Cold Roller is a very popular to soothe pain from plantar fasciitis and other pain along the feet. While it is expensive, it is very effective at providing relief. The stainless steel construction has a gel core that provides cold compression when rolled along your muscles and joints. The cold helps reduce inflammation and swelling and is more targeted and more comfortable than a frozen water bottle or ice bath. Certainly check it out if you suffer from pain in your feet that you haven’t been able to resolve, especially after sports or running. Though there is a huge variety of foam rollers, there are other useful devices to help massage your muscles and joints that are a bit more portable. Specifically, massage balls, massage rollers and therapy canes offer alternative methods for self-myofascial release that are better at targeting specific muscles or trigger points due to their inherent design. They are useful for situations where you cannot lay down and use a foam roller but still want to give your muscles a massage. Massage rollers and balls can be used standing up or sitting and are great for office or gym use due to their smaller size and portability. Read on below or read our full review on the best self-massage tools and equipment. Massage balls come in a range of sizes and firmness levels to help dig into and compress smaller muscles and joints. They are easily manipulated and are effective at targeting specific muscle knots and pain within the calves, hamstrings, piriformis, triceps, pecs and especially the feet and hands. They are very simple to use, just place the massage ball between your body and a hard surface and roll yourself against it. We recommend starting with the Due North Foot Rubz massage ball or the TriggerPoint MB1. The first one has nibs that help to stimulate the muscles and fascia when rolled against, while the second has a layered construction to provide strong tissue compression. They are both small enough to fit in the palm of your hand while not being too firm (you can purchase firmer massages balls if needed) and will provide fast but temporary relief from aches and pain. Truthfully, you really don’t need to spend much. A cheap, quick alternative is a hard Lacrosse ball. This is what most physiotherapists initially recommend as they are cheap and easy to see if you can get used to using a massage ball. You can buy Lacrosse ball sets that comes in a variety of sizes, firmness levels and with or without spikes for a reasonable price (cheaper than most other overpriced massage balls). There is also a handy eBook with instructions and guides to help you maximize the benefits of using a massage ball. Massage sticks or rollers or whatever you want to call these, are great for manually massaging muscles or specific smaller areas. You generally hold these in your hand and manually move them back and forth to compress the muscles and joints. One of the most popular is the simply named Muscle Roller Stick. It does exactly as described. 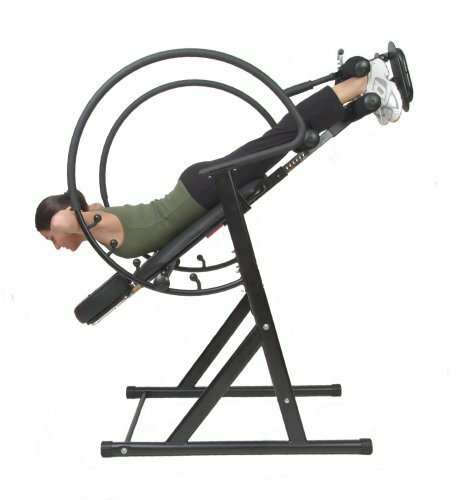 It provides continuous levels of pressure by using rolling wheels along a flexible bar to stimulate the target muscle. The effect is very similar to a foam roller but for areas that you can reach with your hands (not so much your back, unless you have someone help you).